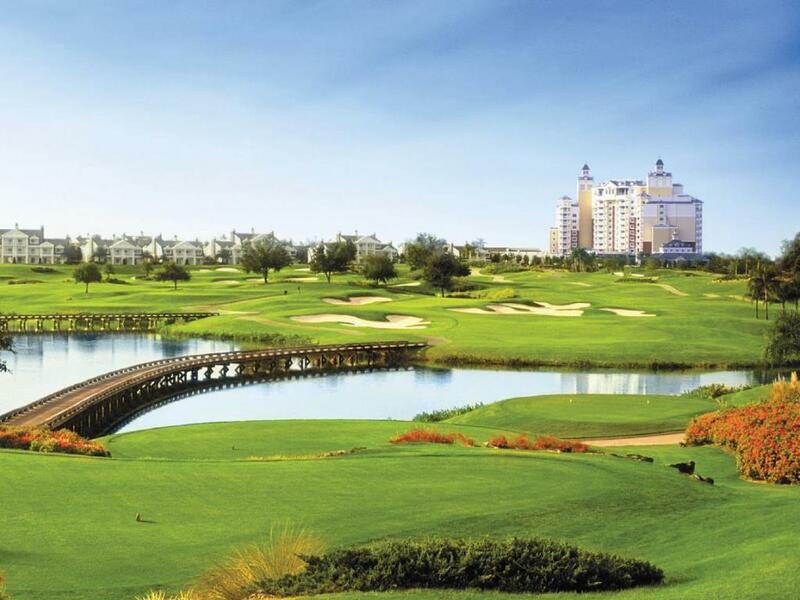 Reunion Resort is a luxury 2300-acre private golf resort conveniently located in Southwest Orlando. Reunion is the only resort in North America to offer 3 private (stay and play) signature courses designed by Arnold Palmer, Tom Watson and Jack Nicklaus. Golfers at this resort not only enjoy top-notch golf right on their doorstep but also the comfort and convenience of luxurious 2 or 3 bedroom villas (sleeping 2-4 golfers) or 3-8 bedroom luxury homes (sleeping 4-10 golfers), many of which have spectacular views of the courses. 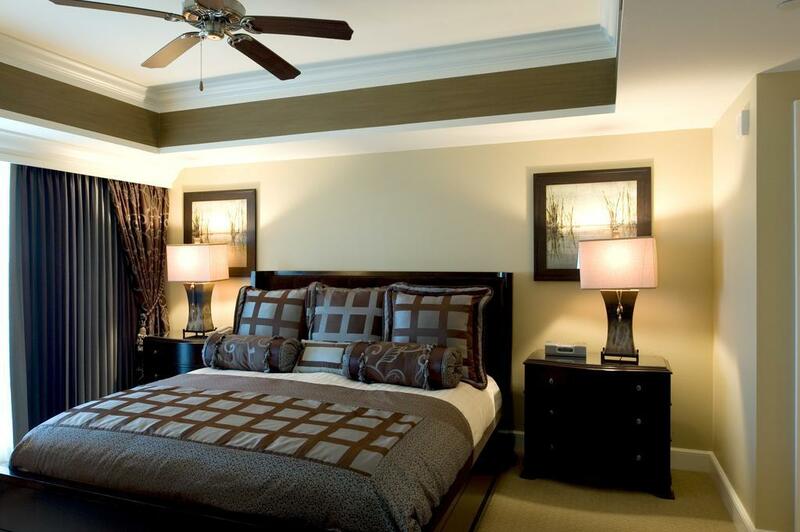 All villas and homes provide full kitchens, living rooms and dining rooms and include full daily maid service. 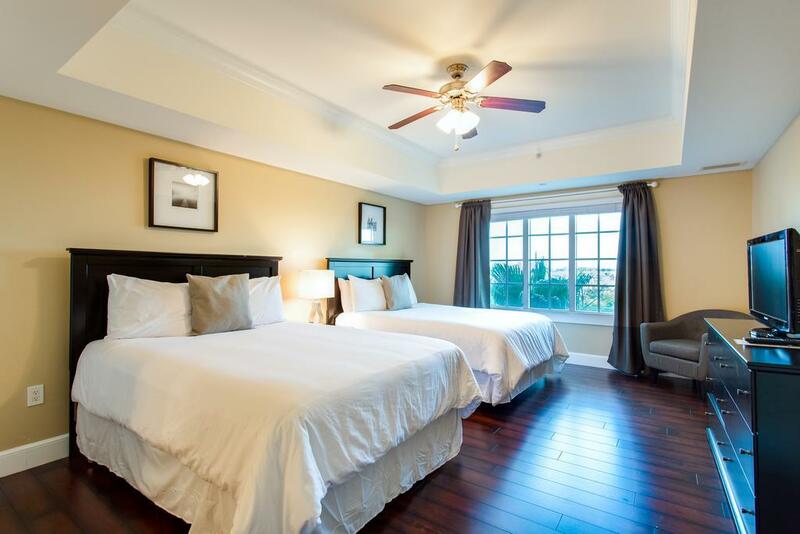 A selection of golf-front upgraded private residences are also available with such amenities as pool tables, private pools, Jacuzzis, putting greens, 19th holes, etc. 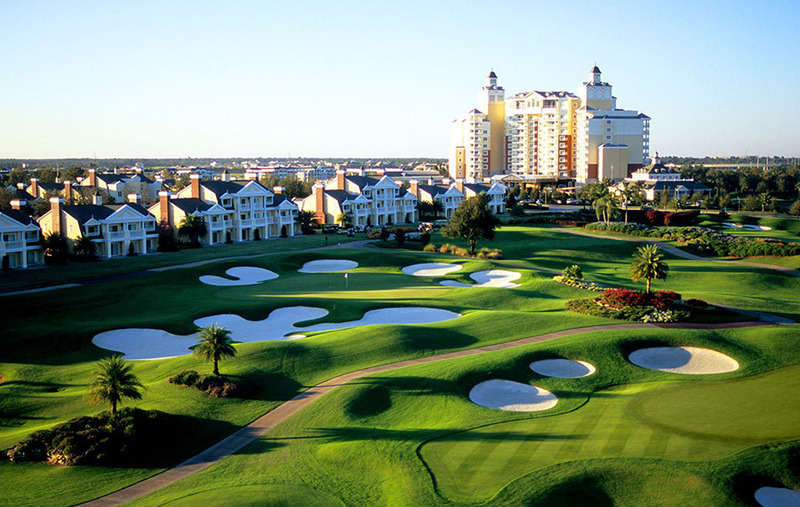 for an additional fee (ask your Golf Zoo Vacation Specialist for details). After a round of golf on one of the three spectacular courses, enjoy lunch and a libation at the Clubhouse and then take a dip in one of the 7 resort swimming pools or relax on the lazy river at the resort's 5-acre water park. For evening entertainment, the resort offers a selection of on-site restaurants including the lobby lounge and sushi bar, fine Italian food and prime cuts at FORTE and tapas dining and casual nightlife poolside at ELEVEN atop the Reunion Grande. To end the day, the spacious living room and dining room areas in the villas and the homes are perfect for a game of cards, a nightcap and a snack from the Reunion-to-Go resort-wide food delivery service. As a private club resort, golfers here will enjoy the cashless and tipless environment which assures a consistently high level of service in an unpretentious manner. 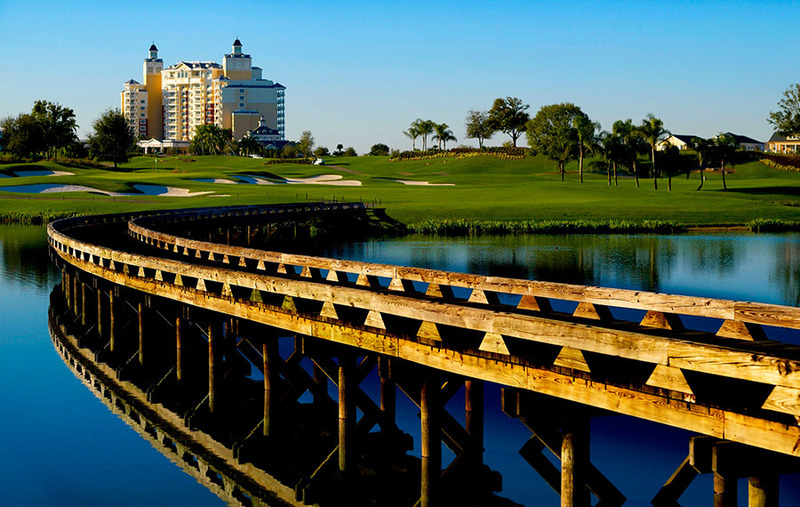 Private club amenities, private club luxuries and private club hospitality - these are the hallmarks of a golf vacation at Reunion Resort.